Eli Cohen's widow rejects reports of her husband's body being found and is pessimistic that it ever will be. 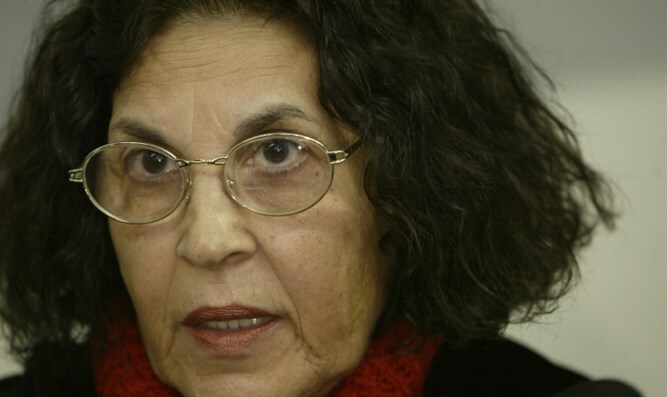 Nadia Cohen, widow of Israeli spy Eli Cohen who was executed in Syria, on Monday rejected reports by Syrian opposition parties about her husband's body having been found and transferred to Russia. Speaking to Arutz Sheva, Cohen said that since the funeral of Zachary Baumel, her family has been receiving different information on the issue. "I reject this information. Perhaps it is an insane person or a bad person who wants to mess with our feelings. If there was real news, the Mossad would approach us. Since Baumel's funeral, my family and I have been driven crazy. It's clear to me that it's not true," she said. "Any person who brings Eli will bring us the tranquility and serenity we wish for. It does not matter whether it is the Russians or other factors, I ask and beg that it really will happen. Eli is in our heads and in our hearts and we are missing all the time. I believe that the Mossad is doing everything to bring it about," she added. "Eli wanted us to fight and talk about his heritage, and that's what I do with youth. We are in close contact with the defense establishment and with the prime minister."